It’s World Environment Day today. May 28 was Menstrual Hygiene Day. 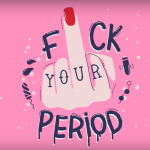 Here’s why the way we tackle menstrual waste is just one big bloody mess. And why burning it is not the best idea ever. A month ago, a soiled sanitary napkin left in a Kochi factory bathroom set in motion a chain of events that few could have foreseen. Over 40 women employees of the factory were strip-searched by two female supervisors to find out who the ‘culprit’ was. And when the factory manager refused to take action against the supervisors, a group decided to protest by mailing sanitary napkins (used or unused) to the factory, as part of a campaign titled ‘Red Alert: You’ve Got a Napkin’. 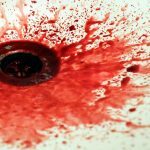 The two supervisors’ shocking actions were a clear violation of human dignity, and an extreme reaction to being confronted with menstrual waste. But their response mirrors the distaste modern Indian society feels towards matters of menstruation, and particularly to menstrual waste. And what to do with menstrual waste is an issue that isn’t limited to the 40-odd women workers of one factory alone. As sanitary napkins are being used in more and more Indian households, waste managers and urban local bodies are staring at growing mountains of menstrual fluid-soaked non-biodegradable waste. Disposable sanitary pads, which are fast replacing ‘unhygienic’ reusable pieces of cloth, are mostly made up of plastic materials and cannot be recycled. Menstrual waste in the region of 9,000 tons a month is littering our landscape, clogging drains and fast eating into already-scarce landfill space. And nobody seems to know what to do with it. What are ‘safe’ technologies to handle menstrual waste, and do we even have them? In a hurry to manage menstrual waste, the Indian government is pushing mini-incinerators across cities (including schools) to burn sanitary pads – releasing toxins that are damaging to humans, animals and the environment. Meanwhile, producers of sanitary napkins such as Procter & Gamble India (which in 2011 had 51 percent of the market share with the brand ‘Whisper’), Johnson & Johnson and Hindustan Unilever (manufacturing ‘Stayfree’ and ‘Kotex’ respectively), refuse to even engage in a discussion on managing menstrual waste. As menstrual hygiene has gained importance in the last decade and a half, the affordability and disposal of menstrual products has become a major concern. There is no official data on menstrual waste in India, but plenty of estimates exist. 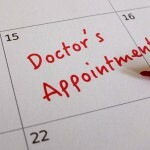 On average, a woman is said to have 3,500 days of menstruation. The blog Eco Localizer estimates that if a woman menstruates for 33 years (between the ages of 12 and 45) and uses about 20-25 pads per cycle, she ends up throwing away 8,000-10,000 pads in her lifetime. Some have it that a single woman generates about 125-150 kg of sanitary waste during her menstruation years (figures with India’s Central Pollution Control Board indicate that in a day, an urban dweller generates 0.38kg of solid waste. That’s around 1,330 kg of solid waste in 3,500 days). In 2011, a survey conducted by market research company AC Nielsen and Plan International, a non-profit, found that India had 355 million menstruating women, only 12 percent of whom used sanitary napkins. In 2013, the magazine Down To Earth attempted to estimate the amount of menstrual waste generated in India, calculating that 12 percent of 300 million menstruating women – 36 million Indian women – used sanitary napkins every month. Allotting 12 napkins to a women woman per month, it found that this added up to 432 million soiled pads, weighing a staggering 9,000 tonnes a month – enough to cover a landfill spread over 24 hectares. At 12 percent, the use of disposable sanitary napkins is still low, but as India is set to become a huge market for sanitary napkins, menstrual waste will increase sharply. According to a 2013 paper on sanitary napkin brands, “A growth rate of over 18 percent to 20 percent is expected in Inda for the sanitary napkins market, which holds a huge potential and excellent profit margin for the manufacturers.”If every woman of reproductive age in India were to use disposable pads, it is estimated that over 58,500 million sanitary pads would be generated as menstrual waste every year. At present, disposable sanitary napkins are most used by urban women, while 81 percent of rural women in India still use “unsanitized cloth”. The Nielsen survey found that 23 percent of adolescent Indian girls in the age group of 12-18 drop out of school once they reach puberty because of inadequate menstrual protection. To address this problem, both the Indian government and international agencies such as UNICEF have been promoting the use of sanitary pads in rural areas. In June 2010, the Ministry of Health and Family Welfare approved a scheme under the Reproductive and Child Health program to provide highly subsidized sanitary napkins to 15 million adolescent girls in rural areas. Subsidized sanitary napkins, under the brand ‘Freedays’, are sold to these girls in packs of six for Rs 6 through accredited social health activists (ASHAs). 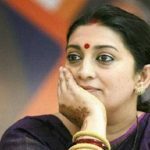 “The government is promoting subsidized sanitary napkins in rural areas, but it has not put in place any system for collection and disposal of these napkins…In rural, tribal villages of South Gujarat where we work, there is a superstition that if a girl throws menstrual fluid-soaked sanitary napkin, she won’t conceive later. Hence, these girls collect sanitary napkins for 4-5 days and then burn them all together in the backyard, thus exposing themselves to toxic pollutants,” says Shobha Shah, the coordinator of Health Training and Resource Center, SEWA Rural in Bharuch, Gujarat, and co-author of a study on menstrual hygiene practices among adolescent girls from tribal communities in rural Gujarat. Eco Femme, a Pondicherry-based social enterprise that manufactures cloth pads, calculates that phase 1 of this scheme would translate into 90 million used sanitary pads in rural India, which has no system for managing such waste. Why are napkins so nasty for the environment? According to Eco Femme, popular sanitary napkins in the market such as Whisper and Stayfree have a top layer, often called a dri-weave top sheet, made of polypropylene (plastic fleece). They contain padding, usually made of wood pulp mixed with super absorbent polymers (SAP) – a plastic based gel that draws fluid away from the surface towards the bottom of the pad, which has a leakproof layer made from an impermeable polyethylene, non-woven film. Apart from this, fragrances are sometimes added to sanitary pads. Almost 90 percent of a sanitary napkin is plastic. This can lead to skin irritations and rashes. The use of disposable sanitary napkins has also been linked to endometriosis in women. Most major brands use chlorine bleach to whiten their products, the burning of which is linked to the release of highly toxic dioxins and furans, which are carcinogenic even in trace quantities. Furans are present in pesticides that are sprayed on inorganically-grown cotton (which is used to manufacture a pad).Dioxins and furans, some of the most toxic substances known to humans, are linked to various health problems, including reproductive health issues and hampered development in children. The current method of disposing sanitary napkins is to mix them with household waste and dump them. They end up being handled by waste pickers, who sift through the waste to remove recyclables.“Waste pickers separate out soiled napkins from recyclable items by hand, exposing themselves to micro-organisms like E.Coli, salmonella, staphylococcus, HIV and pathogens that cause hepatitis and tetanus. Physical health apart, it is also an affront to human dignity,” says Bharati Chaturvedi, founder and director of New Delhi-based Chintan Environmental Research and Action Group. How to manage and dispose of menstrual waste depends on how it is classified. In India, this classification is dubious. While bio-sanitary waste is accepted as a part of solid waste, it is unclear what rules may be applied to handle it. For instance, the Solid Waste (Management and Handling) Rules, 2000 categorize waste as wet and dry waste. It is hard to allocate menstrual waste to any of these two categories. “Apart from wet and dry waste, a third category of injurious waste must be created and enforced so that wastes such as sanitary pads, baby diapers, incontinent diapers, syringes [insulin shots at home], blades, etc are collected separately and straightaway sent for disposal,” says Chaturvedi. Dharmesh Shah, who is the Climate and Waste Picker Coordinator in India for Global Alliance for Incinerator Alternatives (GAIA), feels that menstrual waste should be classified as biomedical waste under the Bio-Medical Waste (Management and Handling) Rules, 1998, requiring proper treatment. However, collection of such waste daily from households by municipalities may not be feasible. “In several European cities, people keep their bio-sanitary waste separate and on fixed days of a week, the municipal workers collect it and send it off for disposal,” says Shah. As per 1998 rules, biomedical waste has to be autoclaved (sterilized under high pressure using steam), microwaved (disinfecting through moist heat generated by microwaves) or incinerated to destroy pathogens. A government-sponsored project in Tamil Nadu has already led to the construc­tion of simple, low-cost incinerators in girls’ toilets at several schools and women’s sanitary complexes. An entrepreneur has even come up with her own design for a terracotta incinerators. However, there is no system at all to monitor emissions from these mini-incinerators. “Incinerating menstrual waste is a dangerous practice as it is linked to toxic emissions. Pune Municipal Corporation has set up four mini-incinerators, where the cost of incinerating one sanitary napkin comes to Rs 2 [including waste collection, electricity charge, etc]. This is both ecologically and financially unsustainable,” says Lakshmi Narayan, general secretary of Solid Waste Collection and Handling (SwaCH), a Pune-based organisation of over 2,000 waste pickers. Dharmesh Shah feels that in the absence of an effective option, using landfills is a better option. Chaturvedi, too, prefers deep burial of sanitary pads over incineration. But the long-term solution lies in moving to healthier and eco-friendly alternatives, she adds. Across the world, what to do with biomedical waste remains a quandary. Toronto is trying tocompostdiapers, while Mexico is experimenting with using the mushroom Pleurotus ostreatus todecompose diapers. The Japanese automation firm Super Faith’s SFD Recycle System shreds, dries and sterilizes diapers, and turns them into bacteria-free material for making fuel pellets. Hamsa Iyer is a young associate fellow at Mumbai-based think-tank, Observer Research Foundation. Among other things, she works on sanitation and has been trying to reduce her waste footprint by composting wet waste at home. “I rarely send out waste from my house, but realized every month I was generating menstrual waste. That set me thinking and I searched for eco-friendly options, and chanced upon cloth pads manufactured by Eco Femme. I ordered them online and since then I have switched over from non-biodegradable Whisper to comfortable cloth pads,” says Iyer. On days she is menstruating, Iyer comfortably moves around in cloth pads and after returning home in the evening, she soaks them in water for an hour while she prepares her dinner and finishes other chores. Post dinner, she washes her cloth pads and hangs them out so that they dry and disinfect in the sun the next morning. “Our grandmothers used cloth pieces during their monthly periods. But, there was so much shame attached to it that they dried the cloth in some unhygienic corner of the house. It is time we break the shame part of it and dry our cloth pads out in the bright sun,” she adds. One cloth sanitary pad of Eco Femme costs about Rs 240, which is unaffordable to most rural women. After rigorous product testing among over 850 women and girls in rural India, Eco Femme has launched a range of subsidized pads for women from economically disadvantaged backgrounds. It also has Gift-a-Pad program under which for every Eco Femme cloth washable pad purchased outside of India ( it exports to 14 countries), a built-in donation of Rs 80 automatically provides an adolescent girl with a washable cloth pad. Several other organizations across India are already working on alternatives to disposable sanitary napkins. Shobha Shah’s NGO provides the option of falalin (flannel) cloth to girls from tribal communities in Gujarat. “Almost 90 percent of women in the rural, tribal villages where we work, now use falalin cloth. It is soft, highly absorbent and maroon in color. Post use, they wash falalincloth and dry it in the sun to disinfect it,” she says. Goonj has an innovative way of reaching My Pads to rural women. If an urban person donates Rs 300 to Goonj, it takes care of the annual My Pad requirement of one rural woman, including 3 undergarments (manufactured by Goonj) and information on the issue. Arunachalam Muruganantham, a social entrepreneur from rural Coimbatore in Tamil Nadu, is famously known as ‘Menstrual Man’, and calls himself the first man to have worn a sanitary napkin. His company, Jayaashree Industries, has created a unique model and machine (that costs Rs 65,000 as compared to the usual Rs 3.5 crore) for manufacture of low-cost sanitary pads that are 99 percent biodegradable. The entire operation is done by rural women, thus creating employment for rural poor. It’s a woman-to-woman model that uses women to manufacture sanitary pads and sell them to other rural women. The minimum cost of one pad is Re 1. “When I started working on sanitary pads, I realized the market had only two major players – Procter & Gamble, and Johnson & Johnson. Products of both the companies were unaffordable to large number of Indian women, who were still using old rags, sand, sawdust, hay, plastic, etc during menstruation. A large population of women still do the same in India. We are in a hurry to send women to Mars, but we cannot give them healthy and safe sanitary napkins so that they can live a life of dignity…Through our model, we are making low-cost customized sanitary napkins available to rural women.” Muruganantham claims their products have become very popular, and are now being manufactured by women across India including the Andaman and Nicobar islands and Naxalism-affected areas. “We are expanding fast, and big companies are now worried,” he says. Aakar Innovations Pvt Ltd manufactures Anandi Pads, which are 100 percent compostable sanitary pads made by rural women in a mini-factory set-up. A pack (eight pads) of Anandi Pads costs Rs 20. However, there is no support from the government for such products. 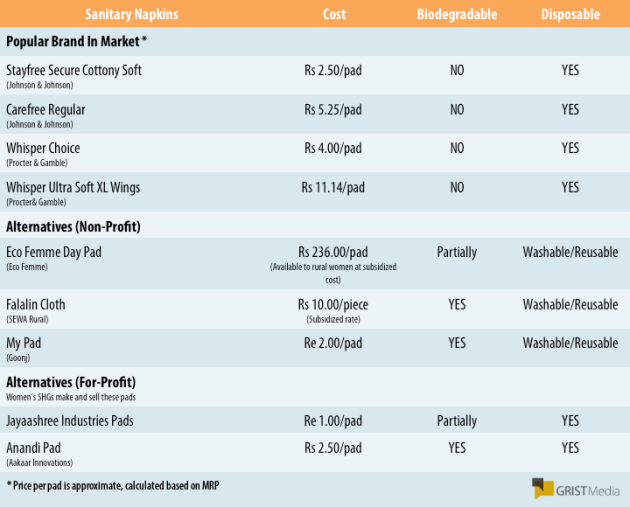 In comparison, a 20-pad pack of Stayfree Secure (the cheapest kind in Stayfree’s stable) costs Rs 52 – Rs 2.6 per pad. An eight-pad pack of Whisper UltraClean (the cheapest kind in Whisper’s stable) costs Rs 78 – Rs 9.75 a pad. Chintan has been pushing for the application of the Plastic Waste (Manufacture, Usage and Waste Management) Rules, 2011, to menstrual waste. The 2011 plastic rules apply to plastic carry bags and multi-layered plastic packaging, and talk of Extended Producer Responsibility (EPR). “Manufacturers of sanitary napkins are utterly irresponsible both towards women and waste pickers. On the one hand, they do not give healthy and eco-friendly options to women; on the other hand, they have no concern for the waste pickers who handle menstrual waste. Why don’t manufacturers provide labelled bags to women to dispose of sanitary pads? Why are chlorine-free biodegradable sanitary napkins are not being offered to women?” asks Chaturvedi, who feels government should procure biodegradable sanitary napkins on a mass scale to promote them and bring down their cost. SWaCH tried putting pressure on the manufacturers of sanitary napkins, but with little result. “We understand menstrual waste is a complex problem. However, as a first step, manufacturers should come up with options for easy identification of sanitary waste. In 2010, we developed labeled paper bags [Re 1 each] for disposal of sanitary pads and wrote to the manufacturers. But no one replied. They don’t care about the health and dignity of waste pickers,” says Narayan. SWaCH then communicated with a leading sanitary napkin manufacturer to address the problem of menstrual waste. “The company only offered to provide gloves and masks to waste pickers, or do awareness campaigns. It refused to [bear the] onus of its product and do something about the waste. Unless the Indian government puts pressure on the manufacturers, they will do nothing about growing menstrual waste,” adds Narayan. Interestingly, representatives of plastic industry also want government to put pressure on the manufacturers and bring them under the ambit of EPR. “In India there is absolutely no pressure from the authorities, lawmakers or consumers to compel brand owners or product making companies to help in collection and recycling of the packaging and product waste…Despite reminders to central ministries for more than 5-7 years, there is no comprehensive law on packaging waste in the country. There is no EPR for consumer product companies at all,” says Vijay Merchant, former president of India Plastics Institute, and owner of Polycraft, Mumbai. Legal pressure on manufacturers is already mounting. 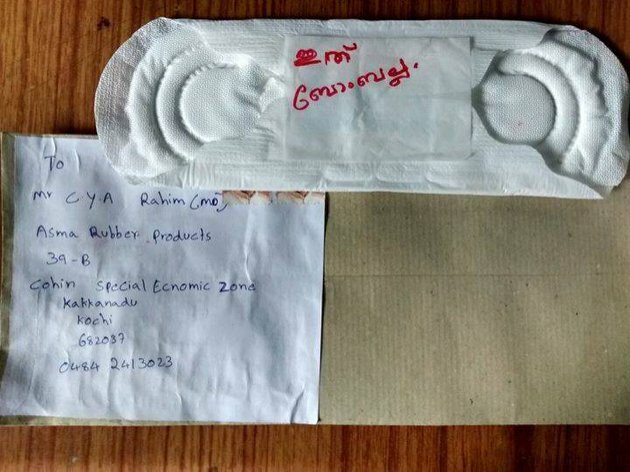 In April 2014, the Southern Bench of the National Green Tribunal issued notice to six manufacturers of leading sanitary napkin companies, the state government, and Chennai Corporation in response to a petition filed by a social activist named Gopi Vijaykumar. The latter said that the unscientific disposal of sanitary pads was causing environmental pollution and the manufacturers were bound by the EPRclause under the Plastic Rules of 2011. “So far, none of the manufacturers have replied…We have EPR provision in India, but it has not been implemented by the government and the companies are going scot free,” says Vijaykumar, whose next case hearing is scheduled for the end of this month. He alleges that manufacturers follow double standards in India. “In New Zealand, under the Kimberley Clark NZ Envirocomp Product Stewardship Scheme, the company collects and [composts] sanitary waste. Why can’t they do something similar in India? Knowaste, a company in the UK, claims to be recycling sanitary waste. Why don’t manufacturers tie up with it?” he asks. Narayan believes that sanitary pads ought to be recycled. “Of course, treating and processing menstrual waste will not come cheap. But manufacturers have to share the financial burden,” she says. Perhaps it’s time for another campaign; one where we mail sanitary napkins (used or unused) back to the manufacturers. Nidhi Jamwal, a Mumbai-based freelance journalist, has been reporting on the environment for over 15 years. She tweets @JamwalNidhi. First published on Yahoo! Originals. easytyger ahhhh. Thanks for that. That makes sense. This is a very well written article but it is misleading about the price of commercially manufactured napkins. One can easily buy stayfree and whisper napkins for as low as 30 or 35 rupees for a pack of 8. That’s still not affordable for a lot of women in India, that’s true. Also when you look at costs, if one was to spend 250 rupees on a cloth napkin , why not just spend 600 on a menstrual cup that will last much longer? Cloth napkins by eco femme and a few other brands are available online but again the steep price might become deal breakers. If these companies manage to reduce costs I am sure women would be keener to use them. And the more they’re used, they’ll talk about.